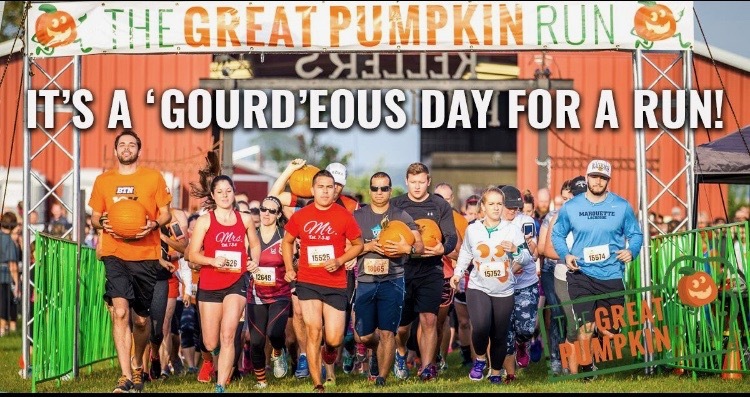 We’re hosting The Great Pumpkin Run on September 14, 2019! The Great Pumpkin Run celebrates everything that is great about fall with a healthy dose of physical activity! Run or walk this 5K path near the apple orchard, pumpkin patch, and corn maze on our farm! (These paths are not paved because, well, it’s a farm!) Think you’re tough? Register for the Tough Pumpkin option and carry a pumpkin with you throughout the run. It’ll be a race you’ll never forget! Registration is now open. *All participants will receive free admission to Keller’s Farmstand activities. Admission is good for the entire day and includes the 10-acre corn maze, wagon ride (begins after all races are finished), animal barn, kids’ play area, and more. We hope you can join us for a day of fun! Activities (corn maze, etc.) & orchard open at 7:00am. Come early and enjoy a hot apple cider donut & a cup of coffee! The sunrise is AMAZING on our farm…. ***Visitors to the farm that day could bring in a non-perishable food item for a discount on the activity wristband. 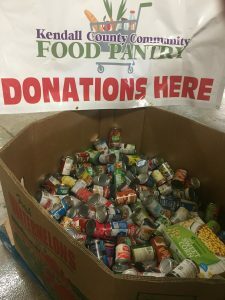 Food donations were given to the Kendall County Community Food Pantry. Thank you for your generosity! We hosted The Great Pumpkin Run 5K on Saturday, September 15, 2018. What an awesome day that was! The runners not only displayed their costume creativity but also showed an exuberance for being in the great outdoors. Their endurance and perseverance for finishing the 3.1-mile path was impressive. Great job to all 2,665 runners and walkers! For more photos, check out our Facebook and Instagram posts from September 16, 2018!